Learn More Why Choose a Honda Collision Center? 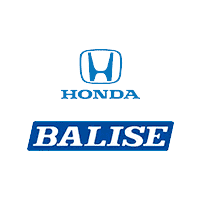 Here at Balise Honda of West Warwick we are fully dedicated to helping our customers and their Honda models no matter the situation-that includes if you have been in an accident! Here at our dealership we offer our customers our Balise Collision Repair center to help you restore your daily driver to its pristine pre-accident condition. That’s why we always tell our customers that if you get in an accident you should first call the police, then call Balise. We know that if you get an accident, life won’t always wait for your car to be in working condition, so we are fully dedicated to repairing your vehicle quickly and efficiently right here at our dealership in West Warwick, Rhode Island. Whether your favorite daily driver has suffered minor dings and scratches, needs body work, or fully collision repair, you can count on our highly trained auto technicians at our Collision Repair Center. Our dealership has the tools, the facility, and the knowledge to help restore your Honda to like-new status quickly and efficiently! We guarantee that you will receive high-quality repair work, fantastic customer service, and will leave our dealership happy with your deal. If you have recently been in an accident and you’re not sure where to take your vehicle, make sure you call us here at Balise Honda of West Warwick today! Our Collision Center is conveniently located at 509 Quaker Lane (dropoff location), and you can give us a quick call at (401) 304-2157 for more information. We look forward to assisting our customers from West Warwick, Coventry, Cranston, Johnston, and Providence. We are a Gold Class collision repair center for achieving the highest role-relevant training recognized by the collision repair industry.